Up early again to work on the plantation. Osho has been amazing - willing to film and step in even at 7.00am! Its such a stunning time of the day, and essential to work at this time where before the heat. 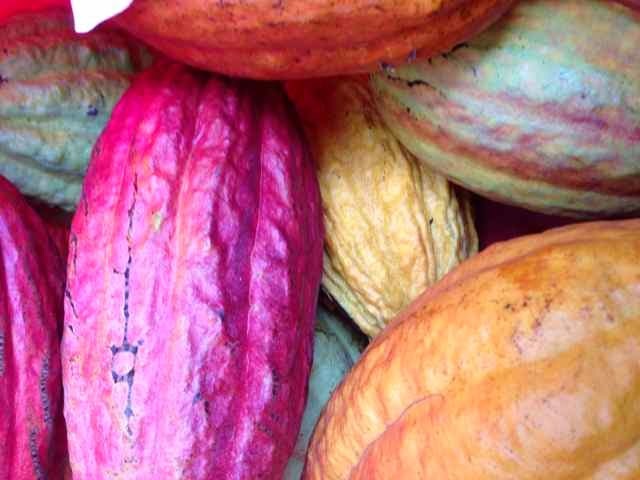 We spent time harvesting cacao pods, this time Floris' brother was with us and we saw how a local does it and before we knew it we had the back of his Ute full of gorgeous multicoloured PODS. 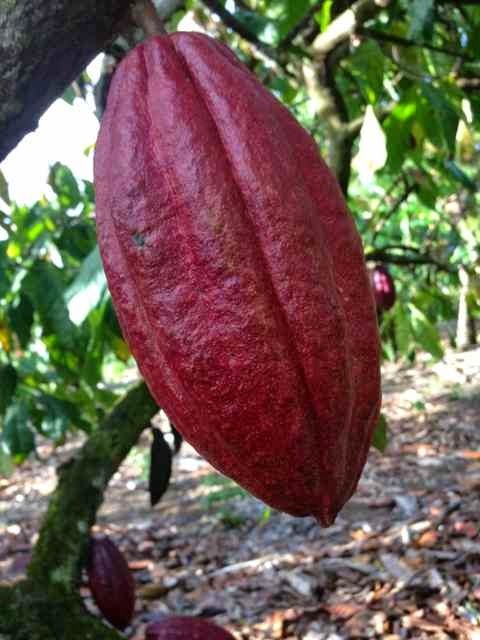 I went for a walk and just kept going further and further into the plantation, getting lost in Cacao. It became more overgrown and more jungle. The longer I spend here the more secrets the trees reveal. It is only the more mature trees 10 - 15 years old that have the maturity to grown pods, young pods and flowers all at the same time. The trees explained that it requires maturity and initiation to be able to do this incredible skill. That the mature trees teach the younger trees the art of this. It is very important in the growth of the tree to master such a feat, having growth of its fruit at all stages at the one time. It brings a powerful frequency into the fruit. I am just blown away by my limitation on how I see life when there is no limitation. Floris is experiencing much also. She left the Farm when she was 9 but lots of memories of how her father cultivated the crop, harvesting cared for his tress are flooding back, she is also hearing the trees speak what is needed and that is all there is really - they know best! 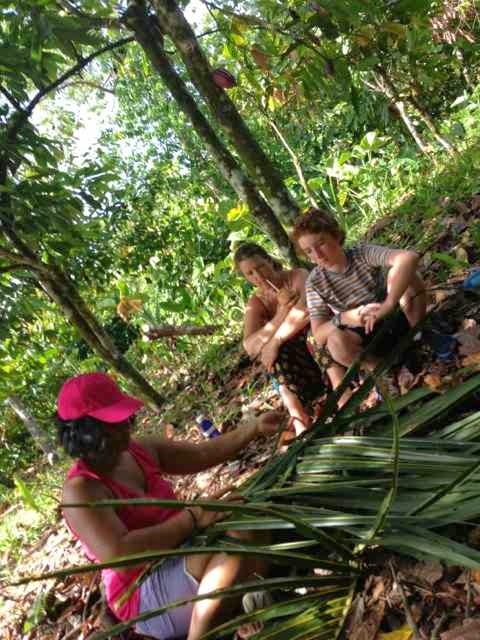 When I rejoined the group we sat under the trees drinking coconuts and learning to weave he baskets that are used to carry the pods back to the house and then lined with banana leaves to hold the seeds and fruit to carry out the Fermentation. A simple lunch of coconut rice was had and then Floris drove us around the Island for the afternoon, which included a swim in the ocean. As we drove further around the south of the main island we saw the devastation of the Tsunami that happened in 2009. Heart breaking still and yet these people return to the low lands and rebuild their lives. A lot less to write as everything is becoming finer and deepening where there are yet not the words to fully express what is being experienced!